This week on the podcast, we’ve got our first CMOW episode of 2019! Join Andrew (and Ben!) as we discuss what we’ve been learning from our theme of goal setting this month–including some personal testimonies! We’ll also take a look at an awesome verse from Jeremiah in our ScriptureFocus segment…and did we mention we’re releasing our theme and challenge for the month of February? All that and more, on this episode of the Sharpening Character Podcast! This week on an extended edition of the podcast, we’re taking a deep dive into the book of Job…and we have a guest along for the ride! Join Andrew and Darien as they examine some of the amazing truths in the book of Job, from scientific facts, to descriptions of the power of God, to even how incredibly powerful the word of God really is! We’ll also share some personal testimonies, and more. Plus, we’ve got the kickoff of the Advent season, and a special announcement as we begin preparing for 2019–a special project you can get involved in! All that and more, on this episode of the Sharpening Character Podcast! When you think about the Minor Prophets, what concepts come to mind? Judgement? Condemnation? Chastisement? What about Mercy, Hope, and Salvation? This week on the podcast, we’ve got our expanded CMOW Episode for the Month of August! Join Andrew and Ben as they discuss the books of Jonah, Amos, and a portion of Psalms, and examine one of the key themes of the Minor Prophets: a glimmer of hope, even in the face of judgement. Topics this week include fish and whales, the size of Nineveh, and more! That’s all on this episode of the Sharpening Character Podcast! 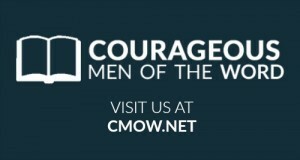 When you think about the influences in your life, would you categorize them as “good” or “bad?” This week on the podcast, we’ve got our special Courageous Men of the Word episode for the month of July! Join Andrew and Ben as they discuss the books of 1st and 2nd Kings, examining the reign of Solomon, Rehoboam, Jehoshaphat, Ahab, and many others–as well as the lessons we can learn from the lives of these men in history. We’ll also talk about how for many of these kings, one major factor determined their ultimate destiny. This has been a fascinating study this month, and is one we’re sure you won’t want to miss! All that and more, on this episode of the Sharpening Character Podcast! This week on the podcast, we’ve got a very special Part 2 of our CMOW Episode covering the Books of 1st and 2nd Samuel! This time we’ll continue the discussion as we look at the life of King David, including some of his success, some of his failures, and what truly made him “a man after God’s own heart.” We’ll also be releasing our next VersePic as we head into the month of July, so we’ve got a lot to talk about! All that and more, on this episode of the Sharpening Character Podcast!